We're all more than aware that there are media biases everywhere. Especially with Donald Trump the President of the United States. This particular incident involves a religious scholar who was a host on CNN may have gone too far for the media company. The host is known as Reza Aslan. In Aslan's post, he apparently mentioned that President Trump was a "Piece of s***." After that social media post, CNN decided to shut his show down. His show was called Believer with Reza Aslan. The show is also relatively new with only one season that had been premiered March. 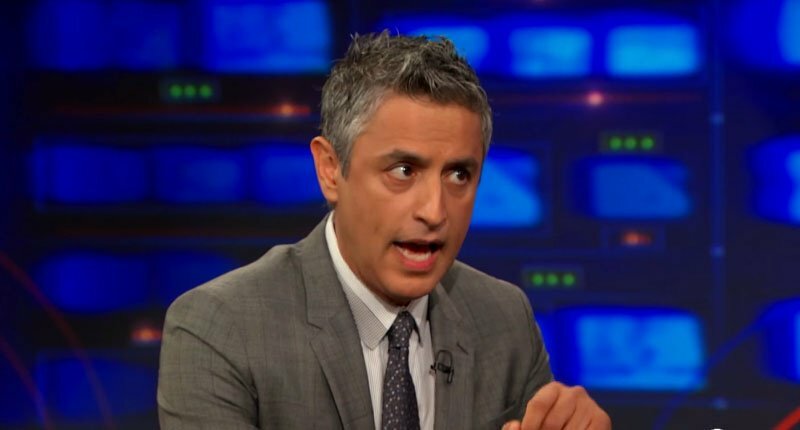 "CNN has decided to not move forward with production on the acquired series Believer with Reza Aslan (season two)," CNN wrote in a statement provided to Newsweek. "We wish Reza and his production team all the best." CNN did not have anything more to add when they were asked about the cancellation of the show. CNN was asked if it was because of the social media post by Aslan. “This piece of s--- is not just an embarrassment to America and a stain on the presidency. He’s an embarrassment to humankind,” Aslan Tweeted but has apparently been deleted. However, it must be noted that Aslan did apologize for the Tweet and talking about the President "in a derogatory fashion." He also said that he lost his cool on the entire incident. The issue that sparked the Tweet from the show host was Trump's call for a travel ban in the wake of multiple attacks in London, Uk. CNN did say that it was "pleased" with the apology written but that it was simply just not enough. The canceled show was also undergoing its second season of production. After the news was released to the world Aslan wrote on social media that "Obviously I am very disappointed in this decision," he posted. "Believer means a great deal to me and to the countless viewers it’s reached. Its message of religious tolerance and exploration is extremely important right now. I am deeply grateful to CNN for giving me the opportunity to launch the show and to amplify my voice on their network. I am especially grateful to the legion of people within the Turner organization who worked so hard to make the show a hit series. However, in these politically charged times, the tenor of our nation’s discourse has become complicated, and I recognize that CNN needs to protect its brand as an unbiased news outlet. Similarly, I need to honor my voice. I am not a journalist. I am a social commentator and scholar. And so I agree with CNN that it is best that we part ways. I look forward to partnering with another platform in the future to continue to spread my message. I wish CNN all the best."